Major summer European festivals offer a whole world of options and choices in locations all over the continent. Not many of them run for ten days though. When we arrive at Roskilde in Denmark on the Wednesday night, with the main music line-up starting on the Thursday, 75,000 fans have already been getting muddy and merry since the previous Saturday. We only see the tail end of the pre-main festival shows but it's obvious the passion of the Danes - the pre-festival showcases new up and coming Scandinavian music on two stages before the main arena is opened on the Thursday (a ritual in which fans queue up and sprint from the camping area to the front of the festival's main Orange stage, and the first arrivals are greeted with a celebratory glass of champagne). Promising Swedish electro star Elliphant says she turned down an M.I.A. support slot to play "to her people" on the Apollo Countdown stage, which becomes the Apollo stage for the main festival on the Wednesday night of Roskilde, presenting her dirty, energetic electro pop. 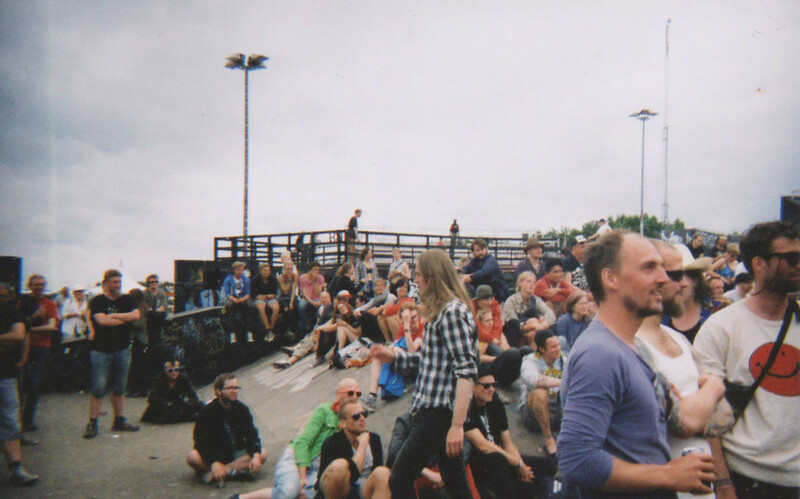 The massive numbers of volunteers at Roskilde are heavily involved with the organisation of the festival, and even help to choose the line-up. We were told that this crew includes a woman who volunteers at Roskilde and helps pick the indie rock-orientated cuts on the lineup. Her day job is a paediatrician, working to finding cures for leukaemia. So much of the people and the attendees is put into the heart of the festival and its organisation that Roskilde seems to be Denmark rolled up, transported to a field and packed into a wonderfully diverse and vibrant ten day music festival, which somehow, despite all this focus on local Nordic acts, also boasts the best international line-up of any European festival this year. 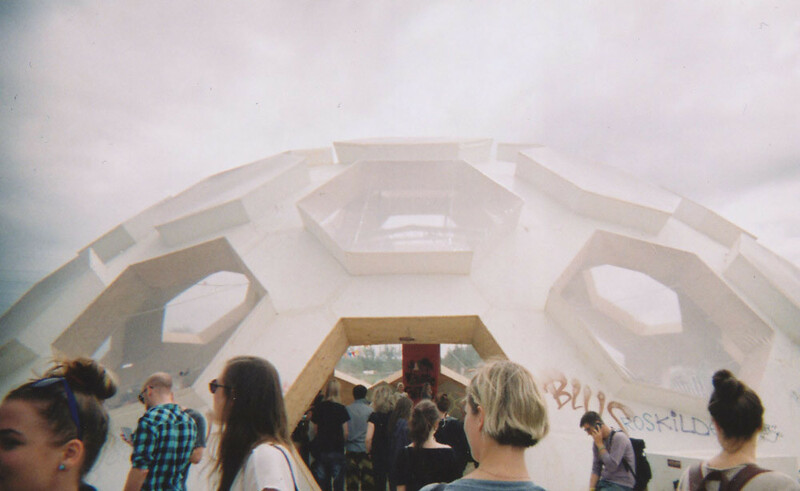 A tentative nickname has been given to Roskilde, calling it the European Glastonbury, and although that can be disputed due to the completely unique nature of both festivals, seeing the similarities first hand (I returned from this year's Glastonbury two days before travelling out to Roskilde), and seeing the ways in which both festivals heavily involve the community and invite the ideas of the paying public to improve the festival, the connection does make sense. Roskilde's first festival was also in 1971, just a year after the first Glastonbury. First up on Thursday is Drenge, which we find out is actually pronounced 'dry-nyer' courtesy of the stage announcer. Thanks for that, Denmark. The sizeable crowd are on side the moment the announcer says that the band's name was chosen because of how much they love Danish cinema, and they proceed to rattle through a convincing 45 minute set. Savages then continue their assault around Europe promoting debut album Silence Yourself, and get a wild crowd reaction during 'I Am Here', even with Jehnny forgetting her lines. "It's just something that happens, right? I'm tired." We'd like to say that we could see Kendrick Lamar's Arena tent show, but the crowd stretched so far outside the tent that we have to simply listen to his rapturously received set, with the rapper clearly astonished at the enormous turnout. Disclosure then draw a huge crowd to the Apollo stage, taking their hold over the UK charts on to the continent with definite success. All completely live this time too, honest. After passing Slipknot's (literally) fiery set, we see Animal Collective play a show of unparalleled weirdness. Their stage setup resembles a human mouth, with huge teeth and gums adorning the top and side of the stage. Songs from 2009's Merriweather Post Pavilion shine brightest in their tent headline set. METZ channel Nirvana in a frenetic, wildly received forty minute set, drawing from their self-titled record, released late last year whilst also airing new single 'Can't Understand'. The Canadian's wholeheartedly embrace and adapt the loud part of grunge's loud/quiet formula, and the first moshpits of the Friday are duly started. Of Monsters & Men's debut album My Head Is An Animal is an impressive, but sometimes flawed listen, yet they manage to channel it into an utterly joyous and all the more compelling live show, and 'Little Talks' becomes a strong contender for anthem of the festival. Rihanna might have something to say about that though. The mega star headlines the Orange Stage, coming on a cool 45 minutes late, a situation that's becoming irritatingly common at her shows. She manages to adapt impressively well to the situation she finds herself in, which was outside of her comfort zone as a performer who rarely does festival shows, let alone at a festival with a history rooted in metal. The majority of her biggest hits are crammed into a 15 minute medley towards the end of the set, and although it feels a little like you've been short changed when newer album tracks are given the full treatment and you only get to hear 'We Found Love' for a minute and a half, the simple euphoria of that minute and a half makes it unbelievably worth it and we leave convinced that we've just watched one of the greatest performers on earth. 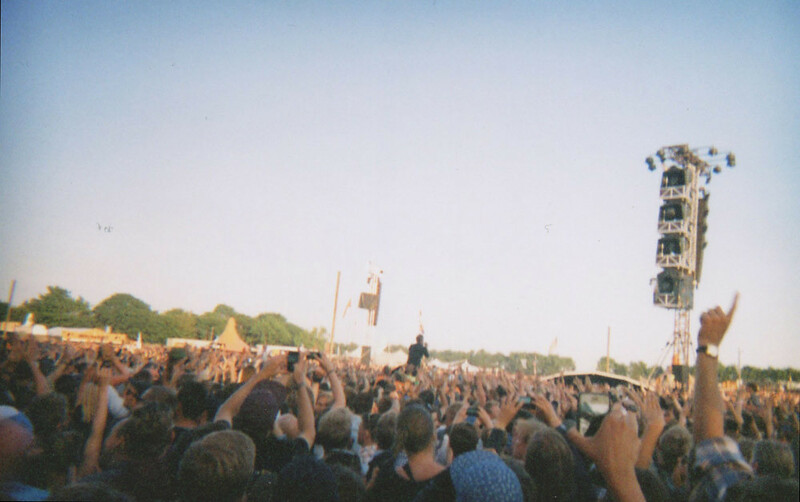 Roskilde couldn't have put Crystal Castles on at a time or place where they would be more suited. They play at 1:30am in a crammed, sweaty Arena tent, and it produces the chaos that we're accustomed to seeing and expecting from the Canadian pair's shows. It's almost routine for the band, but that description does it a disservice, as 'routine' for Crystal Castles is putting on one of the most intensive live shows in the world right now. After an impressive daytime set from Efterklang amongst an otherwise relatively sparse card, Saturday night at Roskilde plays host to two of the best bands in the world right now, both of whom are utilised perfectly by the festival, playing sets at times/on stages that couldn't suit them more. 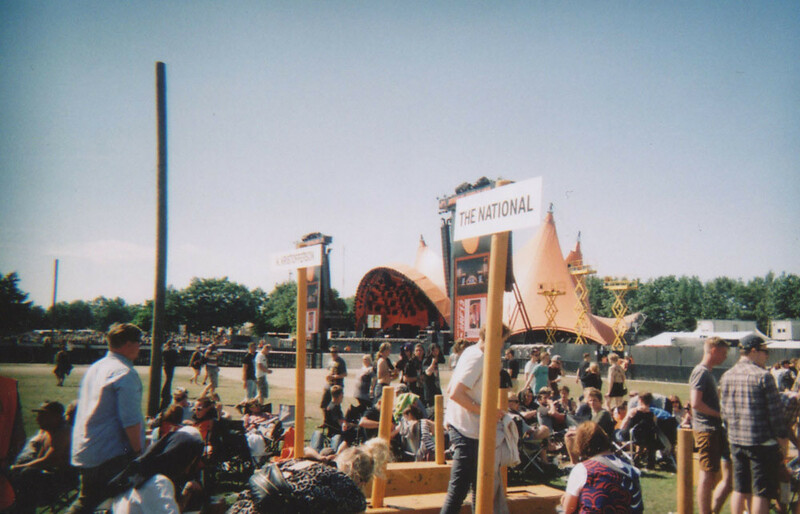 First, The National played a vast, sprawling sunset slot on the main stage, touring their recently released sixth album Trouble Will Find Me. It isn't these songs that are the best received though. Those are 'Bloodbuzz Ohio' and closer 'Terrible Love', both from 2010's High Violet. The set manages to cram in all the highlights from their last four albums (songs from 2003's Sad Songs For Dirty Lovers are somewhat unfairly overlooked) in 90 minutes, and that's not as if there's few of them. Their rise to this level has been gradual and somewhat inevitable since High Violet's release, yet now we're here it seems so deserved and glorious. Sigur Rós then see in Sunday morning, producing an otherworldly light show in the Arena tent. New album Kveikur is far more suited to a live setting than those on last year's Valtari, and 'Brennisteinn' sounds even huger now as a song we're familiar with than it did as an unheard new track on the band's March UK tour. The band manage to produce uplifting bliss in the form of 'Hoppipolla' and 'Með Blóðnasir' and then seconds later plunge back in to the grey, industrial chaos of Kveikur's title track, with both working equally well. The two states are played with constantly throughout the set, and rather than seeming mismatched and unbalanced, which was a potential worry regarding future live shows when the new material emerged, it works to their advantage. Closing with now customary 15-minute epic 'Untitled 8', the band receive a hero's applause, and deserve every last cheer. The small matter of a Goat headline set over at the minuscule Pavilion stage finishes our evening in a visceral haze of noise and chaos from one of the most exciting live bands around, as anyone who saw them here or at Glastonbury the week before will attest. It's a potentially disastrous move to put James Blake's fiercely intimate sounds onto the vast Orange Stage in the early Sunday afternoon on a blisteringly hot day, but fortunately it works out with almost extraordinary success. "We know you've been here for a number of days, and are probably hungover, but we're here to try and make the last day of your festival as good as it can be." Mission accomplished, James. 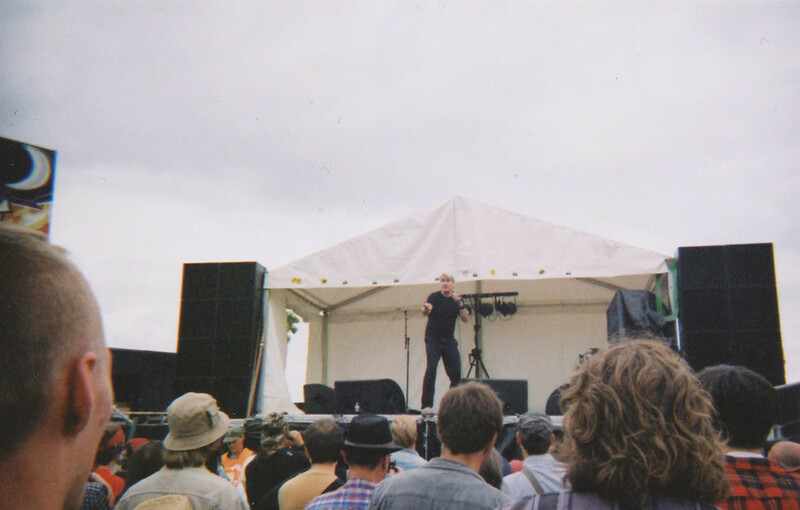 The first release off Blake's new collective 1-800 Dinosaur was also aired in a set played to a crowd so big that it visibly shook and amazed Blake. The closing one-two of Queens of the Stone Age and Kraftwerk (who put on a 3D show with 60,000 pairs of glasses handed out throughout the day) is as diverse, huge and fantastic as the entirety of the festival. The crowds are dwindling on the final night, though, and maybe one day cut at the start of the ten days of festival would avoid such a number of people burning out and missing two of the best sets we see all weekend on the final night. 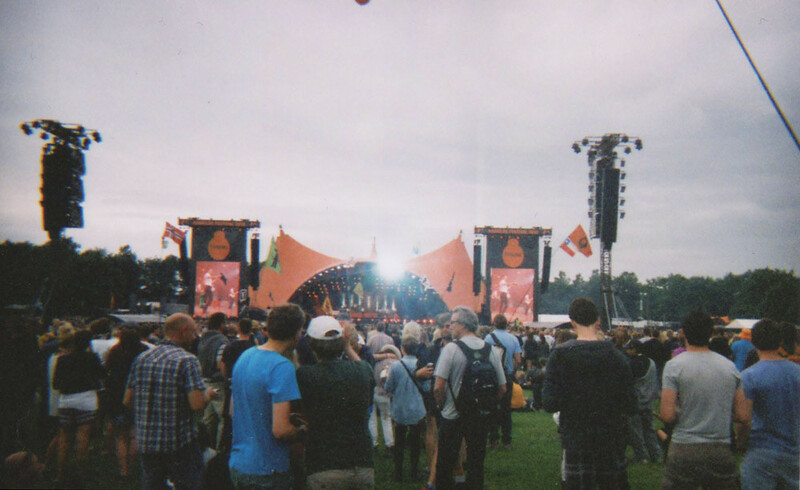 It isn't easy or fair to make too many comparisons between Roskilde and Glastonbury; they both have many things that make them special and unparalleled. But they are both fiercely unique, motivated and driven by good causes (Roskilde is a non-profit festival, and has donated over 25 million pounds of profit to charity over its history). This is so much more than just another line on the list of summer European festivals you can choose from, and it evokes feelings of almost indescribable enjoyment. "Just go, you'll understand when you've been." The kind of thing that so many people remark when returning from Glastonbury. 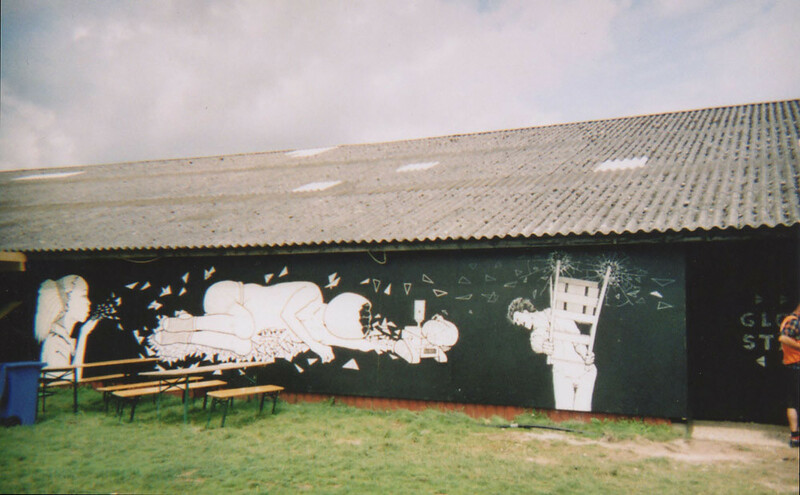 If you've ever had the time of your life on Worthy Farm, maybe you should also give Roskilde a go.